Our team of stylists will give you a glamorous look and completely chic experience - start to finish. You come, we wash, we blow dry, you look fab! 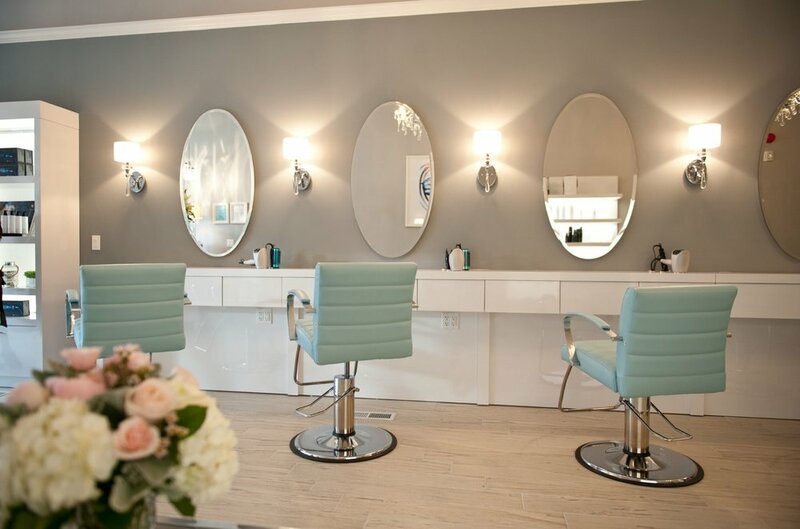 Chic CT Shoreline blow dry and makeup salon waiting to pamper and glamour you. Allow our team to turn your bridal look dreams into your bridal reality (yes, the wedding party too)! It's your day, we just make it extra pretty! Regardless if it's a casual day, a glamorous evening, or perhaps your big wedding day, we have the perfect makeup style for any occasion! Our Mission is simple: All things glamour and pamper. Serving the CT shoreline with the best hair, makeup and skin services all while providing a relaxing and amazingly chic experience. Blow Dry At The Beach specializes in blowouts, bridal hair, hair treatments, makeup and spray tanning. Now offering ORGANIC SPRAY TANNING and KERATIN Hair Treatments. All services offered both in salon or on site, for your convenience.